As I previously shared, the technology universe continues to grow by the day. The puzzle Kathy and I represent as the Sub-Tech Eco-System spans historical systems and functions and makes suggestions on new items and areas that need to be included to effectively operate and compete in a digital marketplace. Let’s continue by looking at a couple of examples represented in the Sub-Tech puzzle. Payment processing is critical to your operations, revenue and of course renewals. Most if not all aspire to set up a system with subscribers on automatic renewal. The market is flooded with solutions across open source, cloud, proprietary and get even more complicated as there are many niche offerings and services. Ultimately, everyone must also bow down to the payment card issuers, their processes and banking relationships. Surfacing once again the importance of documenting your requirements, it is critical to move beyond great sales pitches, lists of benefits (mostly marketing speak), high level buzz words and someone’s ability to convince you their solution is the right one. You need to map out your requirements, understand how you want to collect and manage payments, what your bank or processors expect and offer and how that can tie into your other systems. I know it may sound complex and scary but it is indeed necessary to ensure you get what you need and aren’t surprised later. A client organization made a variety of eco-system solutions based on word of mouth and a great sales pitch, went down the path of signing a contract and implementation only to find out right before launch that significant customization was required to ensure PCI compliance. Turns out the gloss and glitz didn’t reveal the weeds and spokes of how the underpinnings of the solution worked and communicated. It wasn’t the right platform choice for a subscription business. The outcome: The client was too far down the path and had too much invested, they had to pay up, have the customizations created and now have a more complicated system with more rigidity than the former. Don’t allow yourself to get stuck! Today’s marketplace and digital requires you to be nimble. Lets look at another specific example that is uniquely felt by most if not all subscription businesses. 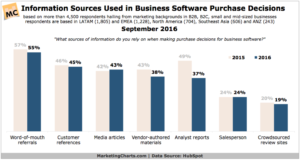 A product or content subscription business has a variety of unique needs. They may offer physical products or publications, purely digital products or content or a hybrid of some or all. A content management system must ensure a subscription business can publish content, promote product, offer varying subscription levels, manage subscribers, offer free and paid content and more. Once again, mapping out and documenting requirements is critical to gaining insight into what the market offers across proprietary and open source solutions. Understanding the offerings can also help you understand if what you currently have is what you need in the future, if you do need to replicate it or is there something that fits much better. A client publisher began a journey to secure a new content platform. About 5 years ago, they were ahead of their time and had a system created and customized for their business at great expense that allowed the editorial staff to easily publish content in a highly visual interface. Editorial was happy of course but over time the client found they couldn’t’t evolve their digital experience without great expense. They knew they needed to change, were actually very stressed about it, but really didn’t know how to proceed. They assumed the process they took 5 years ago had to be replicated as their vendor universe was all too happy to milk them to recreate everything anew. They luckily engaged us to help them understand what was available in the marketplace and determine what of the ecosystem addressed their needs. What we helped them discover was that, yeah they were ahead of the game 5 years ago, but what they had custom developed is now a fairly standard offering in today’s open source solutions. The outcome: significantly less expense, more flexibility and functionality, an editorial staff that remains very happy and a business owner/CEO that has a clear digital roadmap that matches the business goals and intent. A story with a happy and productive ending. It is a story you should want for yourself. All it takes is investing a little more time than you may be currently planning and following our guide in the third post in this series. Take a moment to review the coverage options graphic. 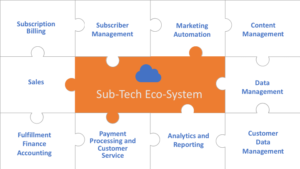 As we shared during the webinar, some vendors may represent they cover the sub-tech eco-system and can provide you all that you need or they may cover different areas of the eco-system leaving you to find additional solutions to complete your puzzle. Although the mentioned graphic represents that Vendor A, Vendor B and Vendor C all offer the same coverage, that coverage may be very different. The devil is in the details and of course what those details represent. To make things more complex some vendors and solution providers that you will be talking to communicate that they support multiple areas. You and they may use the same terminology but their definition of the functionality, terminology and what they offer may be very different than what you mean and expect. As humans we all communicate differently, we bring our filters and experiences to our word choices, our willingness to ask questions or our inability to validate that the “receiver” understood what we said as we meant it. 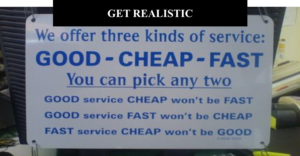 Again, requirements are important as is moving beyond the buzz words and filters. Don’t be afraid to ask questions, present your documentation and have them rise to the occasion to explain to you on paper that what you mean and what they say is a match. Today’s technology universe can offer you excellent puzzle pieces connected together to match your business needs. Ensuring the pieces are evaluated, considered and understood in the right ways is critical to create the vision. Technology is often viewed as a necessary evil. As such, it can be perceived negatively, avoided or put off to some future date. Many have had bad experiences that have resulted in anxiousness and defensiveness which often colors future decision making. Those that have had similar experiences feel they bought the Cadillac when they really needed the Prius, they intimately believe that the promises made during the sales pitch don’t match reality, the solutions they secured are rigid and inflexible, the solution performance doesn’t match their expectations or they feel as if they are being held hostage. The last probably being the most demeaning and significant. Well there are some interesting outcomes from some recent research. It seems communication mentioned above remains a major factor while our own behaviors to move away from things that make us uncomfortable is as well. 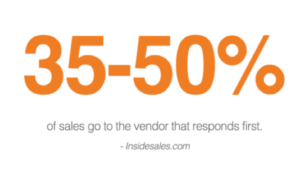 HubSpot’s State of Inbound Report demonstrates that 35-50% of technology purchases go to the vendor who calls first. As I continue to share, it is a consideration process that creates anxiousness. If someone calls and presents good information that you feel matches your need or the problem you are trying to solve. You think “great” this was easier than I thought it would be. All done, I am good. Well, hey, not so fast. 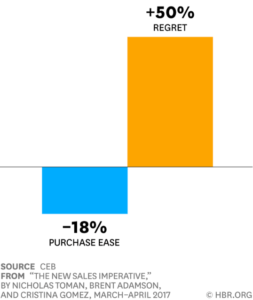 Harvard Business Review (HBR) reports that 50% of those that made the decision quickly based on the first vendor who called regret the decision made and resulting outcomes. That is a significant number. The first vendor to call could have had an awesome sales presentation, was easy to talk to, seemed to understand your needs and offered some Gloss and Glitz. Gloss and Glitz are strong impacts on decisions. The human condition likes new things as we quickly acclimate to things we are used to “seeing”. Those with more Gloss and Glitz draw and hold our attention. You don’t need sparkle, you need solutions that match your business. Back to communication and taking it a step further with how we make decisions, HubSpot’s research demonstrates that 55% of us make our decision based on Word of Mouth referrals and 45% of us base our decisions on Customer references or media articles (43%). Good sources of information and feedback but the situation and conditions of which those you reach out to made decisions may not fit your business case or technical requirements. Again, this brings forward the importance of documenting your requirements, your business model and your expected outcomes. That effort can aid you in correlating what Joe down the street needed, what he got and how what he got can be applied to you. You are unique and your business is unique. Don’t cookie cutter yourself and follow someone else. Find what fits you and your business goals and intent. Consider all that we shared across the sub-tech eco-system, the challenges and pitfalls and the ways in which we make decisions. Kathy and I would suggest that “knowing” and putting things in a framework can lead to a positive technology decision making process. In the third and final post of this series, I will represent a framework and process that you can use to guide your technology selections and decision making ensuring you get the right fit for your business. I hope it will be no surprise at this point that the framework does indeed rely upon the answers to the business and requirement questions. Just giving you fair warning that I will continue to beat the drum on the importance of the exercise. Kathy Sexton, the CEO of Subscription Insider and I provided a webinar this past week to over 300 attendees representing the subscription economy. Check out the webinar on www.subscriptioninsider.com if you want to watch and listen in. Kathy and I will be providing more in-depth webinars in the very near future.